The emergence of 3D printing has become a real revolution not only in industry but also in the art of jewelry. The masters of artistic compositions began to implement their ideas to a new level. Most people can not imagine what kind of device is a jewelry 3D printer, but at the same time, tens and even hundreds of them already own printed ornaments. Jewelry 3D-printer creates a wax model of the future product. In addition to direct printing products, the printer can be used for a manufacturer of molds and subsequent casting. 3D printing has a huge impact on the fashion industry. The fashion industry constantly needs some changes and opportunities to stand out, and the 3D printing copes with this task perfectly. 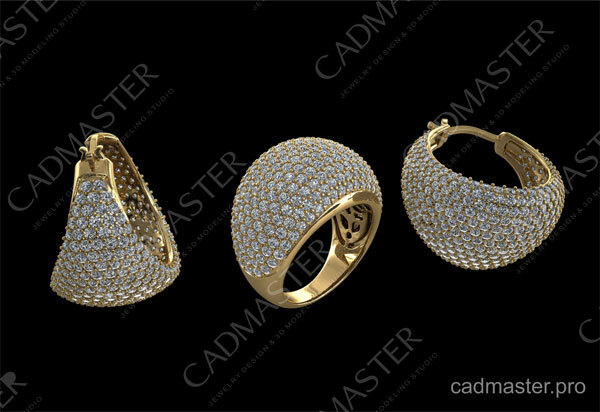 3D jewelry modeling allows to accelerate the work and gives CAD designers the freedom and choice. Now they can produce garments in small batches and to continue to do until the printer does the rest. 3D printing makes it possible to produce a prototype or part, which is based on drawings or 3D models. With the help of 3D technology today everyone can get an exact copy of the 3D model, pre-selecting its physical properties and consumables. This technology is called prototyping, meaning through the use of 3D equipment in a relatively short period. You can “materialize” the prototypes of various products and devices. Simply put, prototyping, or 3D printing is a new and unique technology that converts the 3D design in a real physical model. Why do we need prototyping? Prototyping is a kind of test drive, which allows you to appreciate all the disadvantages, the benefits and risks of finished products at the design stage. This process helps to reduce the likelihood of defective products for the end user or to prevent errors before release of products into production. And, perhaps, the most important goal of prototyping is a financial savings through the reduction of the production cycle. Prototyping is used in various spheres of activity. It allows us to effectively use innovative ideas for successful implementation of the final product. Currently, the range of possibilities and applications of 3D printing is constantly growing. So, what is a 3D printing? In short, this is the construction of a real object on the pattern created on a computer 3D model. Then, a digital 3D model is stored in the STL-file format, then the 3D printer, which displays the file for printing, forms the actual product. Printing process itself – is a series of repetitive cycles associated with the creation of 3D models. How does a 3D printer? The use of 3D printing is a serious alternative to traditional methods of prototyping and small batch production. 3D printer makes it possible to display 3D information and create 3D physical objects. The basis of the operating principle of 3D printer is based on the principle of gradual (layering) creating of solid model. As it were “grown” from a certain material. The advantages of 3D printing to the usual, manual way of building models is high speed, simplicity and relatively low cost. For example, to create a 3D model or any part manually can require a lot of time – from several days to months. After all, this includes not only the production process itself, but also the preliminary works. Drawings and diagrams of the future product that still does not give a complete vision of the final result. 3D technology also allows you to completely eliminate the manual labor and the need to make drawings and calculations on paper. The program allows you to see the model from all angles already on the screen. You can eliminate the revealed shortcomings that are not in the process of creation, as is the case with hand-made. At the same time the possibility of errors inherent in manual work, is virtually eliminated. There are a variety of three-dimensional printing technology. The difference between them lies in the overlay layer of the product. The most common are the SLS (selective laser plexus), DMI (superposition of layers of molten materials) and the SLA. The most widely used due to the high rate of construction of the objects received Stereolithography or SLA technology. How to become a 3D jewelry modeling artist? ZBrush is a 3D modeling software created by Pixologic. It is commonly used in digital sculpting. It . ZBrush is advanced software with powerful features. Through ZBrush you can sketch out the initial concept of jewelry model and then create the 3D model. The creation of models is generally based on polygonal modeling which is intended to be easy for use. The distinguishing advantage of this software is the 3D jewelry rendering in real time. It greatly simplifies the process of creating the desired 3D jewelry model. You not only can “sculpt” a jewelry model, but also “paint” it, drawing the strokes with depth. That means, you do not have to paint shadows and highlights, so they look natural. ZBrush will do it automatically. Also it works fast with the standard 3D jewelry objects using a brush to modify the geometry of materials and textures. It will be achieved due to an incredible number of polygons. Using special techniques, you can raise the settings to dozens (if not hundreds) of millions of polygons. It is based on the principle of working with tools and brushes that allow you to improve the process of classical modeling. You can create realistic renderings with light and atmospheric effects directly in the software ZBrush. Digital sculpting in ZBrush allows you to model with an amazing realism creatures, humans and inanimate objects! ZBrush is the most widely used 3D software in the world of modeling. It is an integral part of the creative workflow and in the development of films and games. Using tools ZBrush you can easily create realistic 3D characters. Pixologic ZBrush is based on a combination of classical sculpture and innovative technology. This makes the creation of a model in a creative and intuitive process! You will also be able to create an expressive and realistic natural environment. It includes the full cycle of creation of the 3D models, starting with the idea and ending with the final rendering in ZBrush. Much attention is paid to the anatomy and the artistic image of models, proportions and styling effects. ZBrush is suitable to create realistic textures and materials by incorporating principles of the art lighting and rendering. Many of jewelry CAD designers are using not only Rhinoceros or Matrix, but ZBrush software for virtual modeling. In other words, ZBrush allows you to sculpt a 3D model from plasticine or clay With the only difference that we should not get our hands dirty and you have the opportunity to apply the finest textures and designs on the model. It is perfect for adding flowing organic shapes to the strict geometric objects created in the Rhino. Thanks to a special technology it allows you to create plastic objects of any complexity. You cannot think about the limitations of the old opportunities in 3D graphics, and freely surrender to the creative process of creating your own masterpiece. All this can be done quickly on a computer in several different ways, using different materials for visualization. There is only one problem: ZBrush interface and operation is very different from the usual 3D modeling programs such as 3D Max, Maya and even Mudbox. For a jeweler who creates his models on a computer, knowledge of ZBrush is necessary as the air. Matrix Gemvision is designed specifically for creating highly realistic 3D models of jewelry. Matrix is one of the favorite CAD tools of jewelry CAD designers that and is well-known with its strength. The software was created in US by professional CAD designers. Matrix 3D is an assembly of three components: Rhinoceros, V-Ray and, in fact, the Matrix. It includes all the necessary elements for modeling the jewelry. Matrix 3D includes stones library, all known types of facets and forms, which can be changed and supplemented. Computer-aided design in Matrix is transformed into an interactive modeling process, changing imagination of the designer and accelerating the speed. In comparison with other jewelry modeling tools Matrix has more advanced features and requires more time to learn. Matrix is ideal for creating custom jewelry design as you are creating the 3D jewelry model from nothing. The final jewelry model is totally unique. Matrix is highly used in jewelry rendering. Through this software you can create outstanding photorealistic images with various realistic effects. Matrix is ​​today considered a major tool for 3D jewelry designer and noticeably reduces the time for overall modeling process such as the placement of the stones, creating casts for different stones or rings scales. However, only the person who has modeling skills in Rhinoceros will be able to effectively apply the Matrix in his work. The software is perfect for jewelry CAD designers who are already mastered in Rhino models and want to speed up their work. It is irreplaceable for those who want to quickly create beautiful pictures of their own products using library materials of Matrix. As it seems, Matrix is not a suitable tool for people who are not engaged in jewelry design. It will be difficult for those ho has just started to create their own jewelry model. So, to get you started in this program, to understand its structure and principle, you have to have some CAD designing skills. With nearly 10 years of experience, its possibilities are extensive. Matrix is a great program and it has a lot of features, which are lacking in Rhino, even with all its plug-ins. Most of the advantages of Matrix are not used frequently. Only for the models that require the use of the most unique instruments. Matrix is itself rarely used. And most importantly, if we talk in general, Matrix significantly expands the capabilities of the standard. If desired, you can even customize the Matrix interface so that it contains all the elements of Rhino interface. 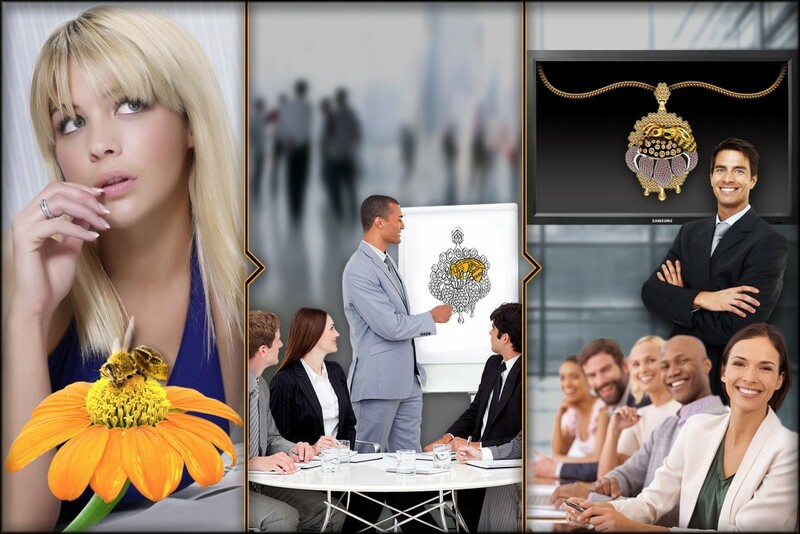 Matrix is 3D design software for creating more creative 3D jewelry, that will be integrated to the moment. Based on Rhino 64-bit, it features the interface of Gemvision. Creativity, competitiveness, productivity, the only limit is that of the mind of the user. Through the tool it has become simple to demonstrate the latest designs to clients. It is ideal to boost your operational cash while reducing inventories. If you have practiced drawing or computer design (CAD / CAM) Matrix is ​​very intuitive. You can easily design your own 3D jewelry and make your 3D jewelry models realistically rendered with V-Ray in a few clicks. If you have already used the CAD or you know a little Rhinoceros 3D Matrix you will quickly understand the mind and get in basic creations. Those who are very familiar with Rhinoceros 3D program which is based on Matrix can use advanced features like Smart Matrix Flow, the Transform tools, paving, canals, creating advanced models. They can make videos of your creations and learn how to use T-Splines to achieve organic creations. Rhinoceros is a 3D jewelry design and modeling software for creation of professional 3D CAD models of jewelry. Expert jewelry CAD designers are using this tool as it is easy to use, flexible and has a lot of powerful features. Rhinoceros 3D, also called “Rhino 3D”, is a 3D jewelry design software mainly used in architectural trades, industrial design and jewelry design. Rhino is comprehensive for new CAD designers and at the same time suitable and efficient for experts. Rhinoceros offers great flexibility and precision in 3D modeling. Rhinoceros is commonly used for industrial design, architecture, design marine, jewelry design, automotive design, CAD / CAM. Besides that it is used for rapid prototyping, reverse engineering, product design as well as the multimedia and graphic design industries. The Rhinoceros software can create a model of virtually everything, starting from 3D jewelry and ending with the car body. Rhinoceros is mainly used to build computer models of jewelry. However, because of its flexibility and accuracy Rhino is used everywhere. From the artistic illustration to industrial design, from the design of shoes to clothing design. Rhino Software is developed by Robert McNeel & Associates. Rhino 3D models can produce real products using 3D printer. They can create jewelry modelings which can be created in precious metals such as gold or platinum. The main advantage of Rhinoceros is that it let the CAD designer to change the entire model with precise modifications and without deteriorating the simple interface. Due to the easy to learn interface you can be creative without worrying about the features of the software. This program provides an unfettered opportunity for 3D modeling as the products cost 30-50 times more expensive. The interface is clear and easy to understand for the user. In case you master the program you will be able to model any shape you just imagine! The interface is customizable, fast and developed by CAD experts for creating 3D jewelry models. To understand the general operation and design methodology of Rhinoceros 3D software you should create complex objects. This will help understand surface features of Rhinoceros. Creating complex objects with Rhinoceros is a key to identify the most suitable methods. 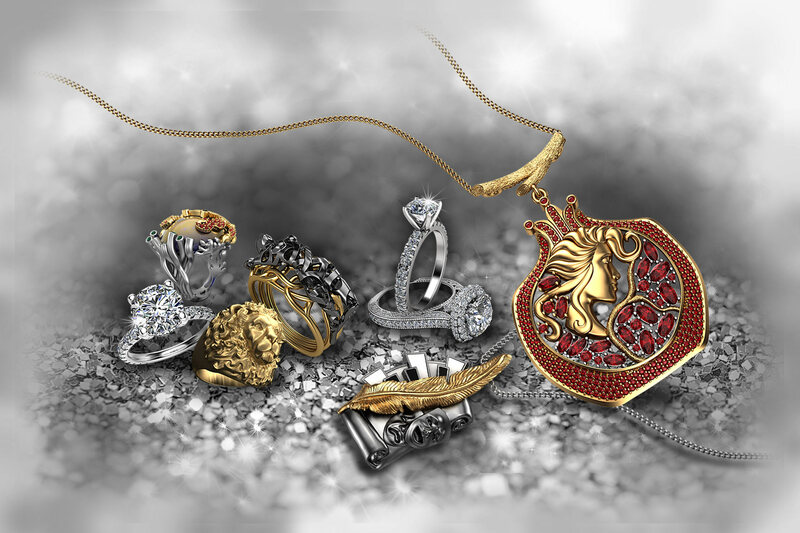 With the use of Rhino it is possible to create highly realistic jewelry renderings. Every detail and every angle is defined by its precise dimensions, absolute sizes and ready for rapid prototyping process. The jewelry models that are created with Rhino can pass to the jewelry rendering through V-Ray which is also a powerful tool to create high quality renders. The top quality jewelry models can be created with Maxwell Render. You can create your 3D jewelry models by adjusting surface curves. This modeling is based on an adaptive process, which allows optimizing the number of facets composing the surface of the object. Rhino allows for Boolean operations (addition and subtraction of volumes). This will create volumes closed and suitable for 3D printing. In 3D printing, it is necessary that both sides of an object attached have got only one body. The “join” will allow you to merge the intersections of the two volumes in order to obtain a single object. Modeling cannot be printed if the modeled object is closed. This function will help you identify the models say “open”. The command “show edges” will help you locate the open sides and facilitate the correction of modeling. Rhino 3D file format is in the extension (.3DM). Rhino 3D can export your models in many formats. After you complete your model, so you can export the file in the formats 3DS (3D Studio), DXF (AutoCAD), SKP (SketchUp) and IGES. Before you export your file, check if your target format supports colors and textures. 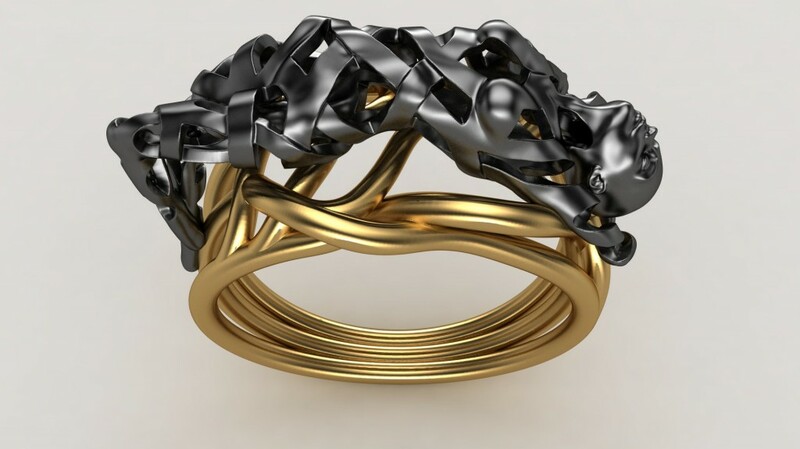 Rapid prototyping of jewelry is the transformation of created 3D CAD models into physical objects enabling to create and show visually any shape of jewelry models. It is an impressive presentation of the model, showing it in a different environment and with a different scale. Rapid prototyping is a comfortable base before creating your jewelry models to provide high quality and precise features. However, that will cost you high to buy equipment. Rapid Prototyping of jewelry allows you to transfer to the final layout the color and small element solutions of jewelry sketches. The preliminary approval of 3D modeling will harmonize and make changes to the layout of the future during the jewelry modeling process. Professional jewelry designers who are specialized in rapid prototyping are making accurate hard copies of created CAD models. These technologies are facilitating the view of final output and making every detail of the jewelry model highly visible from every angle. Rapid prototyping is used to assure the quality of the production by manufacturing the jewelry models in small amount. That is an excellent way to control and improve quality and small mistakes as well as to create more complex jewelry models. Generally the models the rapid prototyping is implemented based on STL files. Rapid prototyping is giving you possibility of early coordination, transformation and presentation of jewelry models to the customer at an early stage of project approval. You can boost the efficiency of your production with rapid introduction of changes in the layout before manufacturing begins. It is also good practice to use the models for demonstrations for several persons by making multiple copies of an object for simultaneously. Another advantage is that you will save time and money on the development of models, which will be a significant shortening of the project. In today’s market of jewelry is no longer possible to be successful and firmly hold this leadership without the use of modern technology. This not only dramatically save your time and money. It also allow you to create true masterpieces of gold and silver objects that were previously just out of reach for the vast majority of jewelers. Rapid prototyping has made a real revolution in the field of jewelry production. It allowed you to create original fine jewelry quickly and inexpensively. 3D printers have made a real revolution in the jewelry business. They removed barriers and liberating the imagination of masters. The main advantages of jewelry 3D printers – ultra-high print accuracy and excellent quality of the generated surface. In the process of 3D printing, we can produce color prototypes and models based on any 3D model in the shortest possible time. To an accuracy of 0.1 mm it is possible to maintain a low cost of manufacturing. 3d printer – is the specialized equipment that allows, based on 3D model to create a physical object. There are different types of 3d printers, but at the heart of each of them is the principle of creating an object layer by layer. The result is a reduced volume of model with maximum resolution and high quality. 3D prototyping is a process which allows seeing and feeling the product before the launch of the future production of expensive jewelry models with several hundred, thousands or millions of copies. 3D Rapid Prototyping allows “start-ups” to exclude engineering and design errors, which are sometimes hard to see on a computer monitor. Modern equipment allows producing prototypes of products from different materials. Advantages of 3D prototyping lie in the fact that the prototype can be made from virtually any material at all of its properties. The most popular is considered 3D prototyping of ABS (ABS) plastic. Currently, 3D rapid prototyping gained wider application. Prototypes of modern products are used not only to determine the collectability of the final product, elimination of design errors and design. They also are used for the strength, quality and other tests. Materials used for rapid prototyping are: ABS, PS, PC, POM, PA6, PP, PEEK, PA6 + GF, ABS + PC, aluminum, titanium, steel, stainless steel and other plastics and metals. People who want to start learning 3D jewelry modeling need to pass a long way for collecting years of experience. However, there are basic tips for 3D modelers which will help to create the first 3D model and get into the world of 3D jewelry. Here are some important jewelry tips to help you get the right direction and go professional. The 3D modeling process starts with a visualization of 3D model in your mind. First, you have the idea of what it will look like. For that, you will need to have sense of dimensions. You should decide the size, type, class and style of the design. Designing process is operated manually by giving values to parameters and each time you have to start from nothing. First of all you have to get familiar with the terminology used in jewelry modeling. Parametrize the jewelry models in order to create custom jewelry design by changing sizes and shapes of the CAD model. Other important jewelry modeling components are features and stock-solids. After the jewelry modeling process rapid prototyping techniques are used for personalized jewelry. 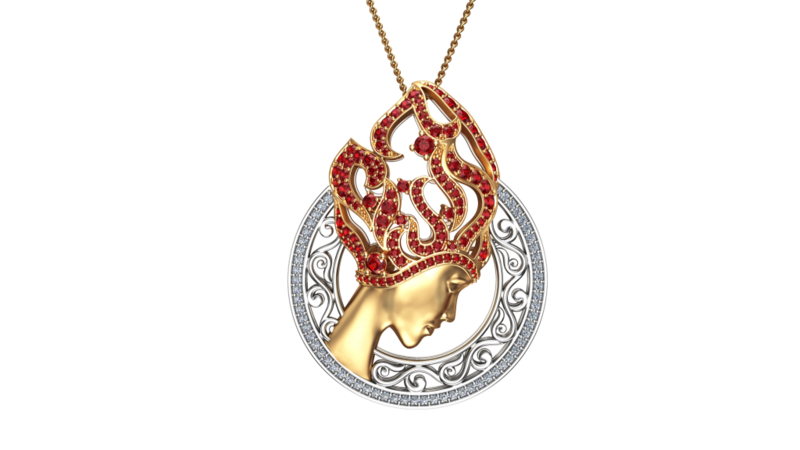 Powerful 3D modeling software can be a good base for you to create a stunning jewelry model. For starting to learn 3D modeling the Blender is the most appropriate one as it is simple to use and understand basics. Rhino and Matrix are the best for precision modeling. For 3D curving and applying texture you should use Zbrush and ArtCam to get the most appropriate relief design. You can find on the Internet a lot of educational sites about 3D modeling. You can find helpful courses for every software you choose, blogs and detailed guides about jewelry modeling basics. 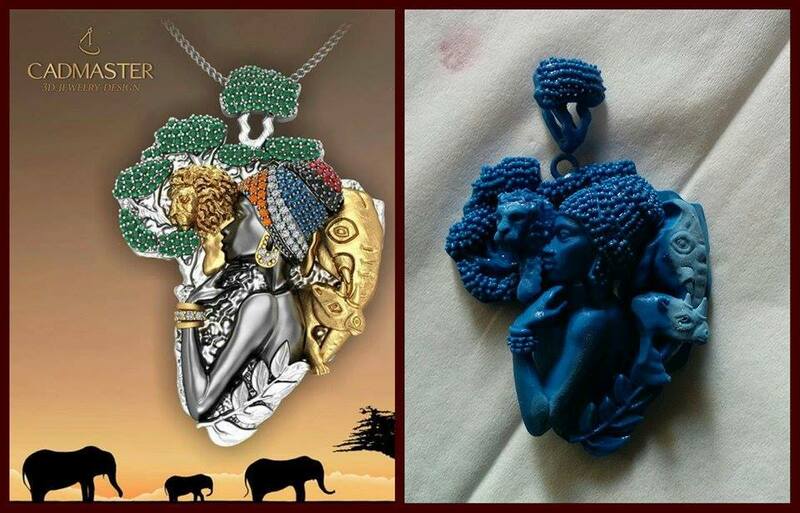 There are dozens of groups around Facebook about 3D jewelry design and 3D modeling. One may be lost in this endless list. We tried to filter the most popular, informative and safe groups to follow. Read, and choose the group that is best suitable for your needs. Follow this group if you are a desperate lover of ZBrush jewelry. As you may know ZBrush is a digital sculpting software combining 3D/2D modeling and texturing. It allows using a proprietary “pixol” technology: storing lighting, color, material, and information about the depth. The main advantage of ZBrush is that it is more designed toward sculpting. The updates are pretty fast. And there is a strict admin, who keeps an eye for spam. This group is a very popular one among the manual 3D jewelry designers. People from around the world share with their experience, thoughts and concerns. You can find different works with different materials. Gold jewelry, steel jewelry, silver jewelry… etc. If you want to stay updated about the latest jewelry designs and news, then this group is just for you. You can find news about most famous jewelry designers, cad designers, top business manufacturers, wholesalers, retailers, branded jewelry, production machinery and much more. This is a group for jewelers, wholesale diamond dealers, manufacturers, and retailers to connect and discuss jewelry and digital media trends and developments, latest news and discoveries. Follow this group and it will help you to develop the business by knowing the customer demands in market. A lot of designers get orders, interact with the jewelry industry, and develop their own database. You will find many new concept techniques, new creative designs of jewelry, and why not maybe even get hired by someone. This group is mostly specialized in 3d jewelry model exchange, buy and sell. If you have some models which you want to share, or you are planning to trade some of them with the other members of the group, then this page is just for you. There are all types of jewelry models for sale, and to download for free. A group for multinational jewelry designers. It has over 13,000 members and is still growing. The page is pretty responsive, and you will get any type of help regarding your concerns. There are a lot of modelers and designers among the members of the group creating unique 3D jewelry models, so you are all caught up. One of the best groups you can find on Facebook for professional jewelry sketches and design. Most of the members are designers with long experience in jewelry sketching. The group is for hand-drawn sketches only, so be aware that all the other content and data will be removed. A great group for those who are interested in wholesale gem and mineral sale. There are no restrictions for posting every type of minerals, gems and jewelry both for sale and for trade. Any member can add his/her mineral and gems any time and get a business going. The admin is pretty strict, so no irrelevant posting is allowed. Group members can share and discuss pictures of their works created using Rhinoceros, Maya, Sketch-up, 3DS MAX, AutoCAD or any other software used for 3D modeling and/or rendering of 3D objects. This group is also open for any type of jewelry topic discussions.